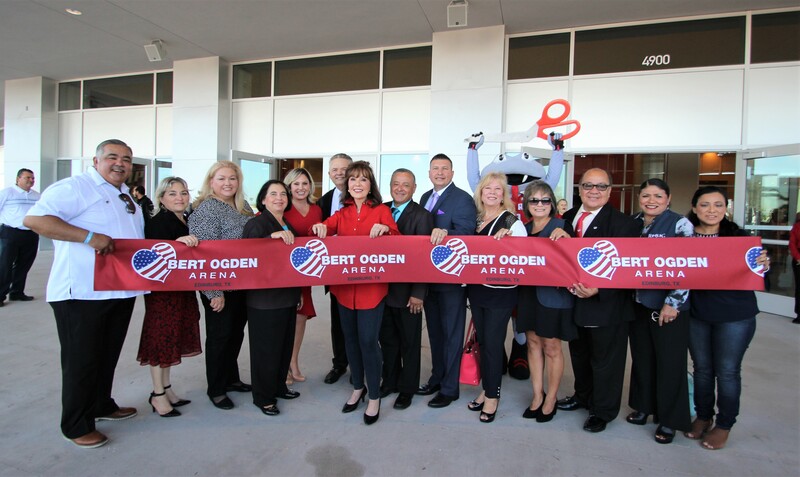 We are proud to announce BERT OGDEN ARENA has officially opened in the great City of Edinburg! 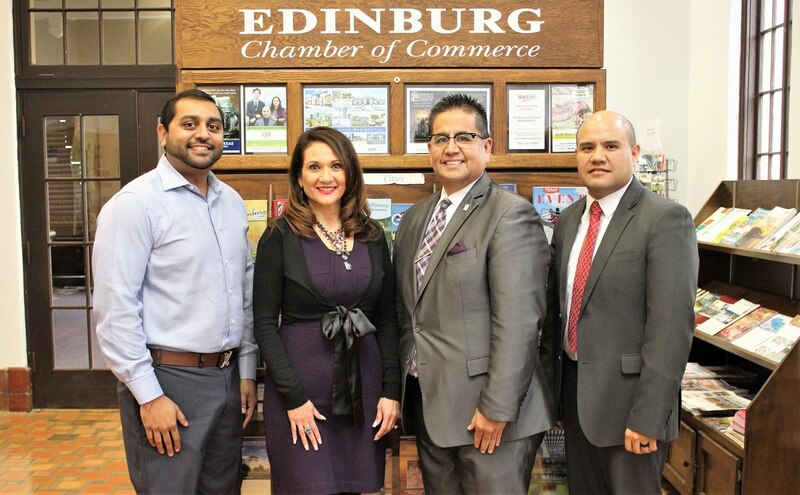 Edinburg Chamber of Commerce officials congratulated the Edinburg City Council, Alonzo Cantu, Robert and Janet Vackar on the Rio Grande Valley’s greatest attraction in front of a crowd of 200 at Monday’s ribbon cutting ceremony. 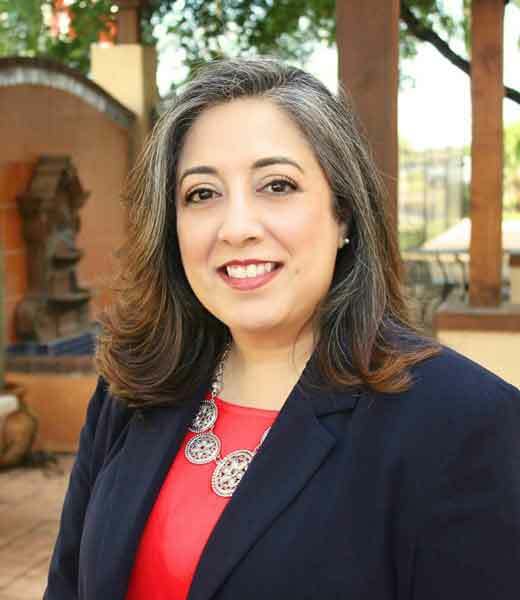 The Edinburg Chamber helped with the planning process for the ceremony and provided the custom ceremonial ribbon for the grand event. The 63,719 sq. ft. facility will be a first class state of the art entertainment venue and the biggest in South Texas. The venue will seat up to 7,688 for basketball games and up to 9,000 with floor space for a concert setting. 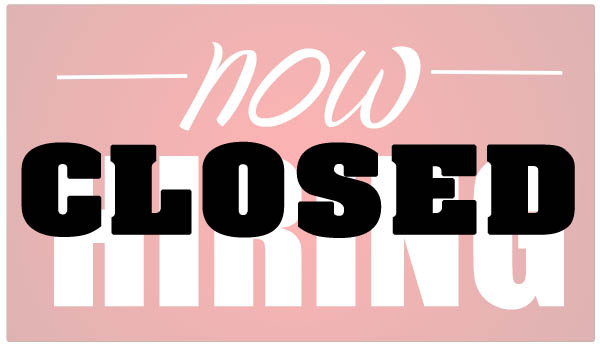 The Arena is located at 4900 S. I69 in Edinburg. Just take the Bus. 281/ Owassa exit. 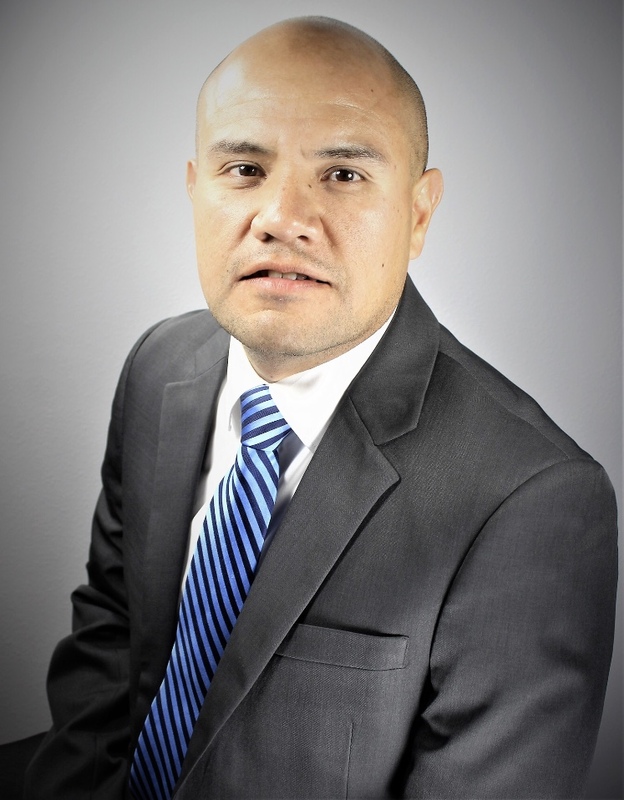 For more information please contact Bert Ogden Arena at 956-563-7362 or visit online at www.bertogdenarena.com.